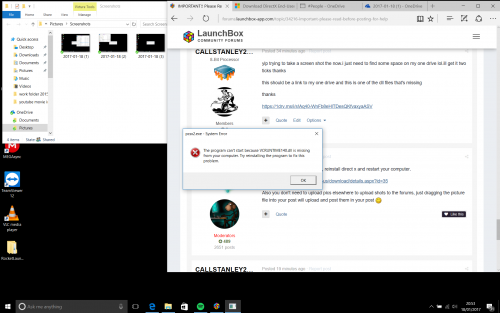 While this a forum for Launchbox discussion and help and not an emulator troubleshooting support forum we will do our best to try and help people out with anything we can do to get things sorted out. But it would a huge help to us here if people could provide us with as much information as possible when posting and asking for help. The first thing that everyone should do is make sure that an emulator is up and running outside of Launchbox. If it is not up and running please try and check the support forums for any specific emulator that you are using. 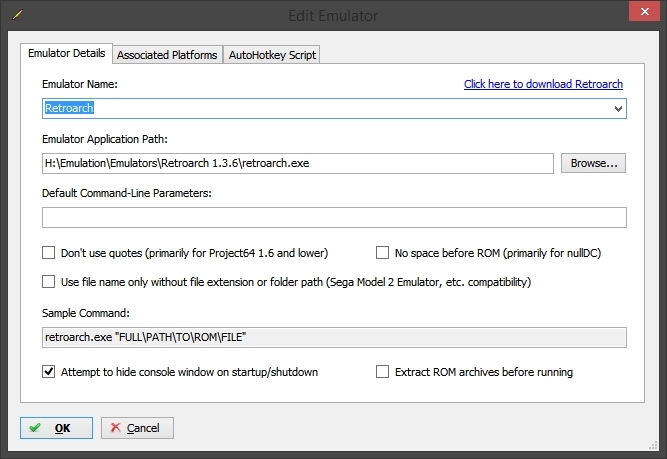 I do realize that some emulators have very little to none or worse, poor support and we will try to help out. But like above please provide as much information as possible such as emulator and Windows versions. Here is a stickied thread with tutorials and guides with lots of good information ranging from Brads setup guides to the more obscure and tricky to setup emulators. 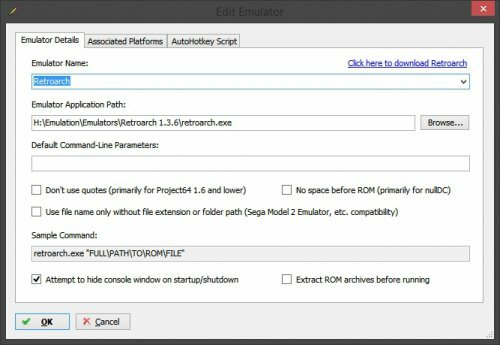 If you have your emulator up and running with your games but not working through Launchbox please post screen shots of your "Emulator Details" and "Associated Platforms" tabs of the "Edit Emulators" window in Launchbox. Also make sure that the platform name in the "Associated Platforms" window matches with the platform name on the left hand side of Launchbox. You do not need a separate program to take screen shots, you just need the "Print Screen" key on your keyboard and MS Paint (Paint.net is an even better option and 100% free). Simply press Print Screen to take a picture and it will be in your clipboard, then in MS Paint just paste it in (control + v on the keyboard). Use the crop tool to cut all the excess stuff in the screen shot or if it's just a small window holding Alt while pressing Print Screen it will just take a picture of that active window. If you want to use a simple program to take screenshots easily and use the method I mentioned above here is a link to Greenshot which Brad suggested below. Greenshot is also an amazing screenshot taker as well that can take various types of screenshots and automatically upload them to various sites like Imgur for very quick posting as well. Yeah there are programs to help with it but I wanted to make sure people knew they could easily take screenshots without needing to get another program. Oh no, of course, and thank you for posting something like this. We can even expand this as well, and it might help cut down on a lot of the noise that gets posted. I did just want to share what I use for taking Screenshots, it's a fairly light weight program and I pretty much use it daily because it's so easy. Well it never used to be a problem but it seems to be increased lately, I guess we are getting many more new users to Launchbox and seemingly new to emulation as well. Something I have been meaning to do as well is to create a Guides & Tutorials sticky thread. It's going to take some energy to sit and sift through the boards for past posts with useful information. It also doesn't help that we need to update the defaults within LaunchBox, I gave Jason an update doc a while back, but he's busy, so it probably got lost. I need to do that again. Yeah an update on the defaults would be big help. You can search for it with Windows search or just run it. Couldn't live without it. Super easy way to take a screenshot of an app window, full screen, rectangular snip, or free form snip. You can save to file, email it, copy to clipboard, make some markups on top of it, etc. hi everyone I'm trying to sort out my setup.i had to replace my internal drive with a ssd drive and had all my launchbox related stuff on a external drive.what I have noticed is something must have been stored on the internal drive.some of my systems that used the retroarch emulator don't work showing a popup stating that I'm missing dll file.i have managed to change the emulator for Nintendo Enterainment system from retroarch to Nestopia and got the roms to work .but now I'm seeing that othe systems arnt working that used retroarch.so deleted it and downloaded it through add new system .I place the emulator in the right locations. pointed it to the rom folder and still I'm getting missing dll files. so what I'm asking is am I better clearning all the roms from these systems and start from scratch with each one again or is it quite simple to sort my issue. 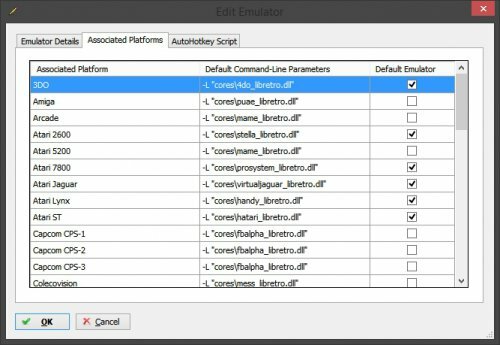 If you can tell us what dll files you are being told is missing that would be a big help, it's probably something easily fixed with a download and install and probably not even directly emulator related. Yup, just a missing direct x dll, reinstall direct x and restart your computer. thanks for the quick response also.